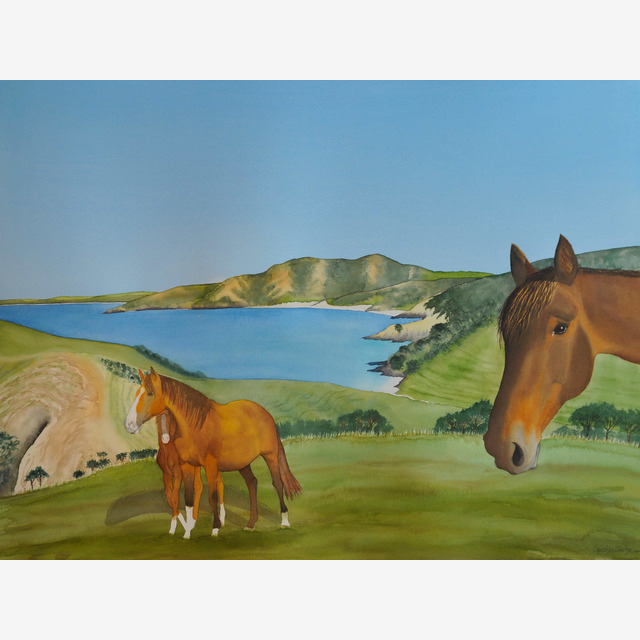 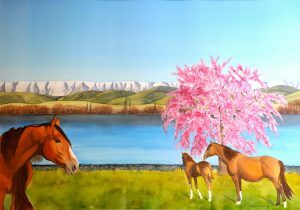 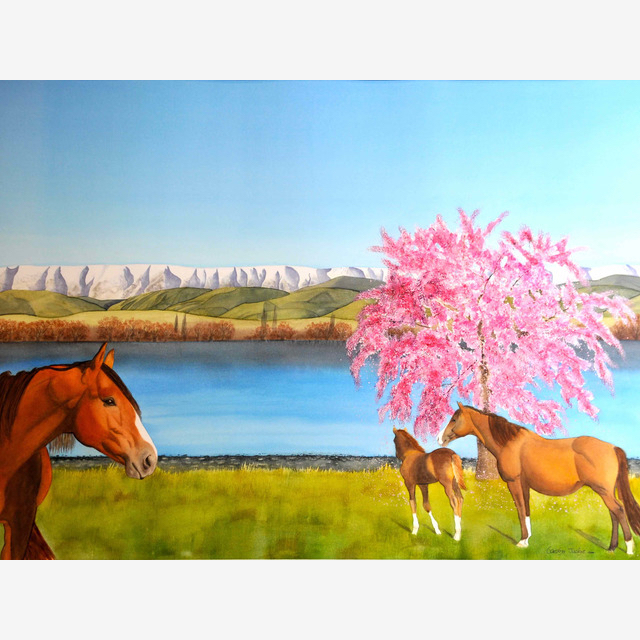 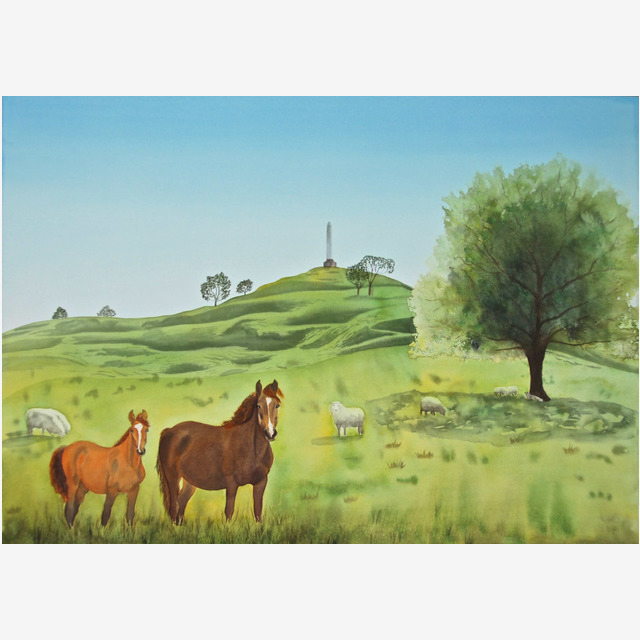 A Mare, Foal and Stallion beside a lake with the Dunstan mountains in the background, beautifully complimented and balanced with a Blossom Tree in the image. 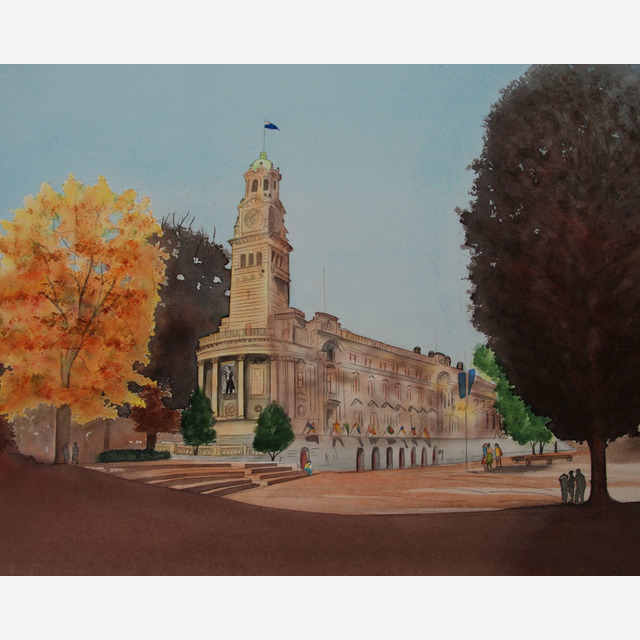 This Watercolour won 2nd place in a judged show and exhibition. 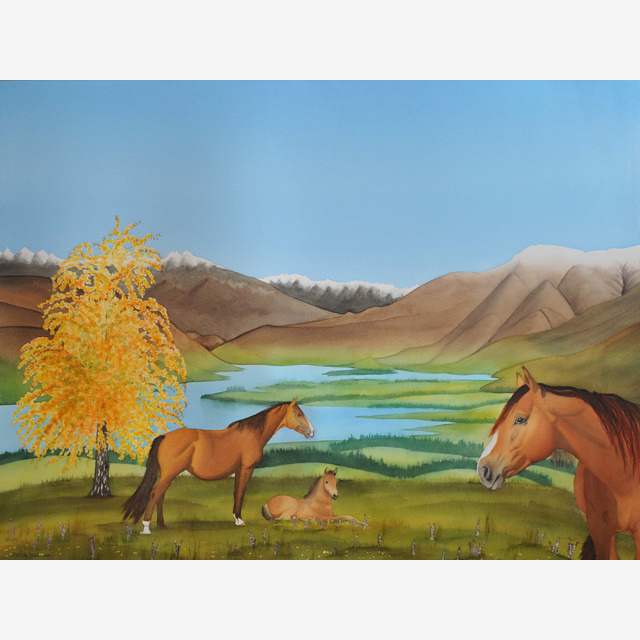 This painting is only available as a print.